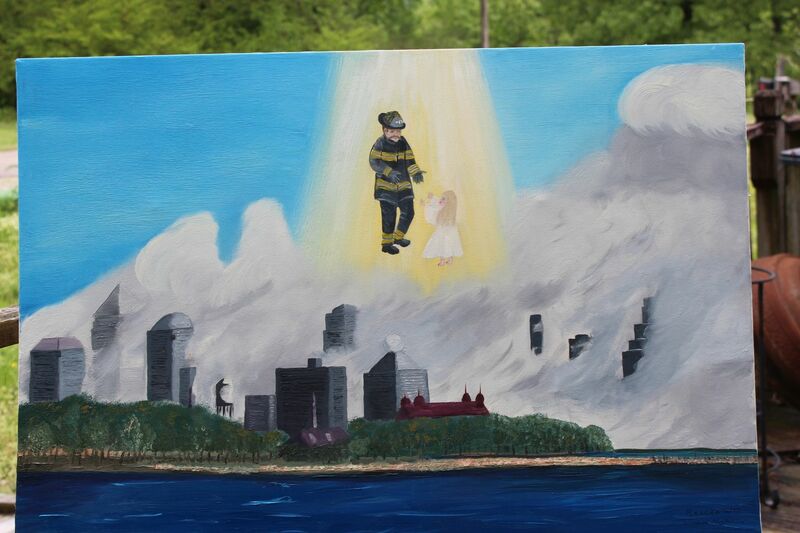 This is an oil painting on a 24" x 36" canvas that I did when I got home from New York the day after the towers fell. This was on my heart to capture on canvas. The scene is of a fireman helping a small girl find her way to heaven through all the smoke. I call it 'Rescue WTC'. This is an original.